For many years now, our Pinot Blanc is made from Auxerrois (70%) and Pinot Blanc (30%) grapes originating from the Herrenweg and Rotenberg vineyard. Most years, the Rotenberg plays a key role as its limestone soil brings the structure and acidity necessary to balance the richness of the gravelly soils of the Herrenweg area. As such, Auxerrois is also a slightly less acid grape variety and is a little more precocious than Pinot Blanc. 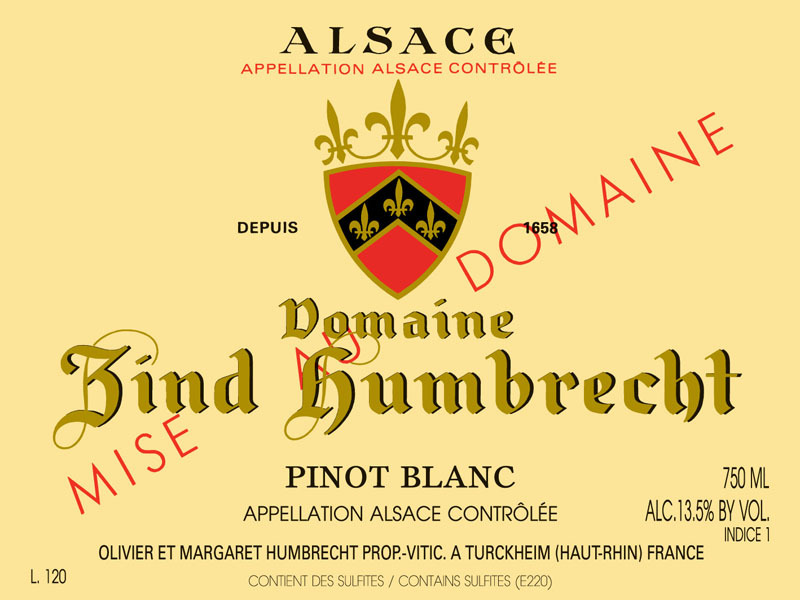 Auxerrois does remain the main grape variety of this blend as we like the smaller grapes, more aromatic expression and the fact that Auxerrois reaches phenolic ripeness more evenly. In 2010, however, such considerations were less important as both grapes achieved perfect ripeness and kept a great acidity. The fermentation was fast and the wine fermented to the end of the sugars.